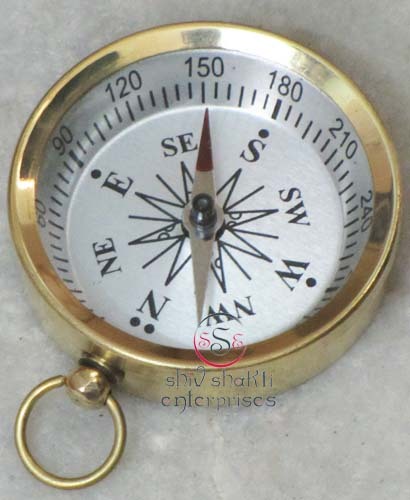 Open face solid brass pocket compasses are accurate and reliable compasses that easily fit in your pocket. 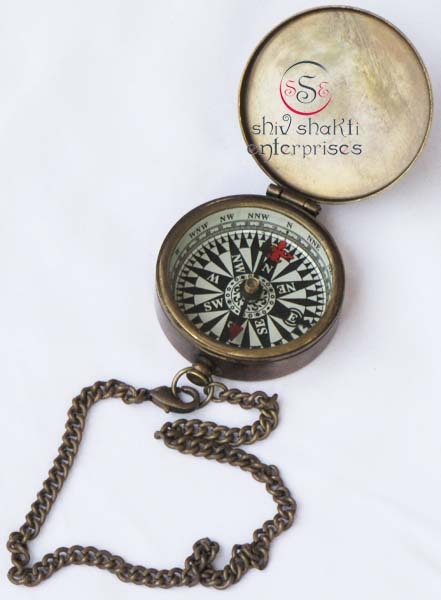 We offer two solid brass pocket compass chains as an option for your compass. 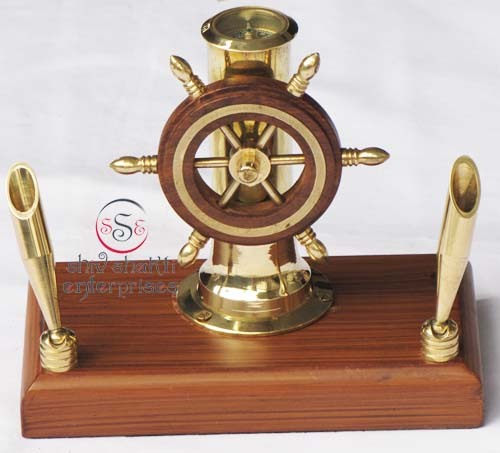 This amazing ship wheel compass is made of brass and is a great item to keep by your side whether it is in your office or boat. It will make a great addition to any maritime collection. 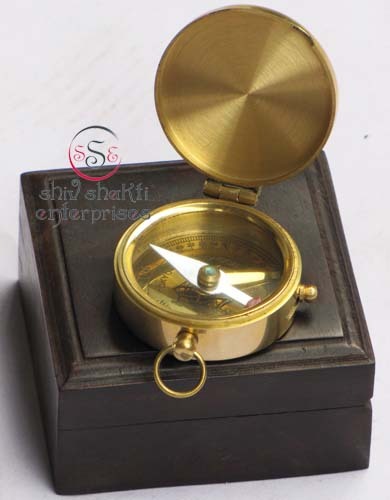 Beautiful Compass for collector. Ht:- 17cm. 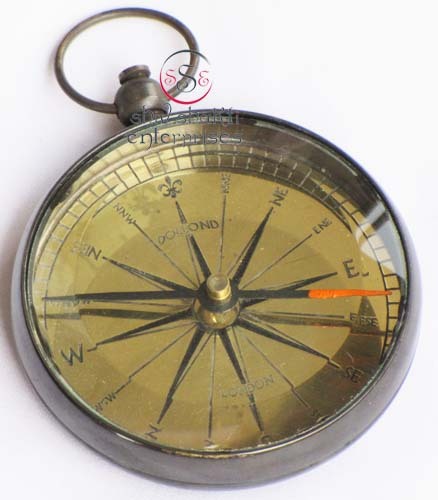 & Compass Dia:- 3cm. 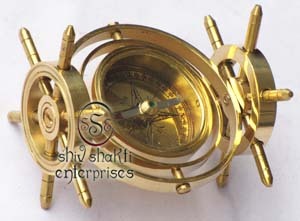 A solid brass Standing compass. Made of brass. 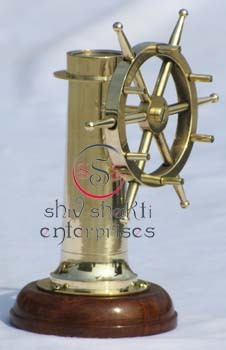 This Hampton Nautical Gimbaled Desk Stand Compass is a solid brass reproduction of an antique sailing ship cabin compass. 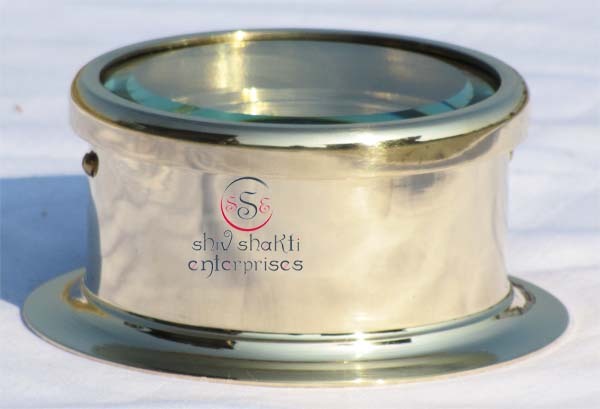 The magnifying design allows the compass to remain level regardless of the angle of the base. Dia:- 10cm. & Ht:- 6.5cm. & Base Dia:- 13cm. 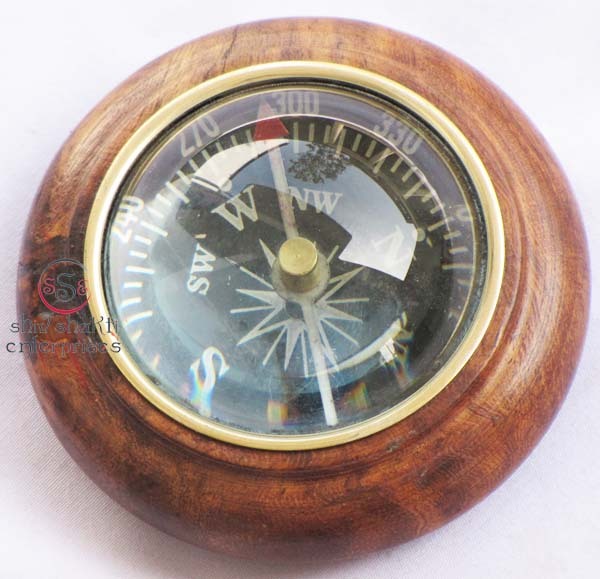 ﻿These compass is made of wood. 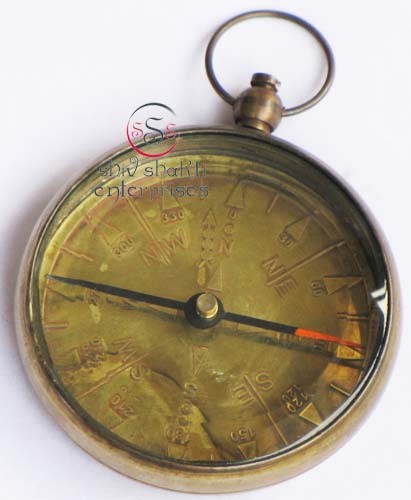 These high quality reproduction Compasses are replicas of the original Compasses used by mariners over the ages to guide and navigate them over the Oceans of the world. Made of brass. 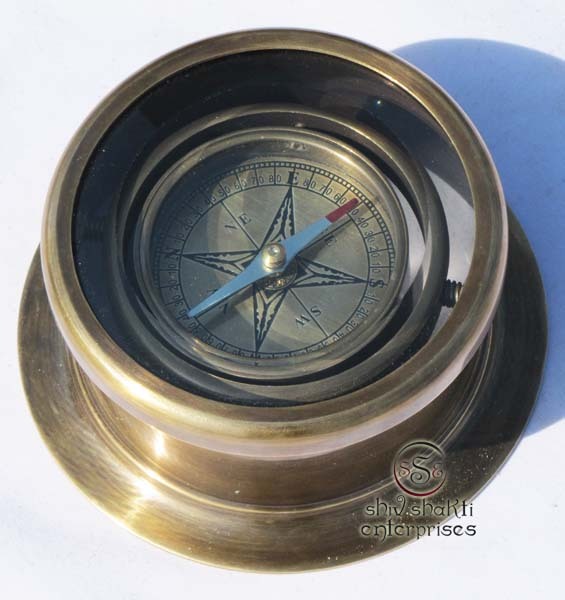 This Hampton Nautical Gimbaled Desk Stand Compass is a solid brass reproduction of an antique sailing ship cabin compass. The gimbaled ring design allows the compass to remain level regardless of the angle of the base. 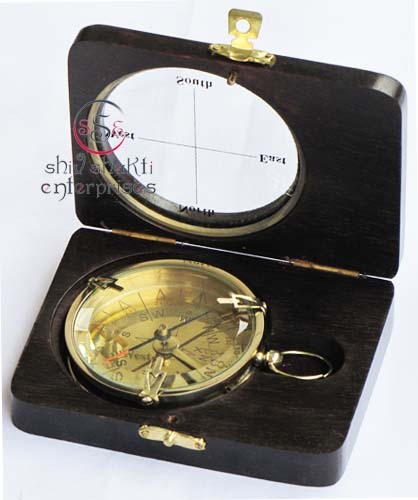 Size﻿:- Box Size- 8.3 x 11 x 2.7cm & Compass Dia- 6.5cm﻿. 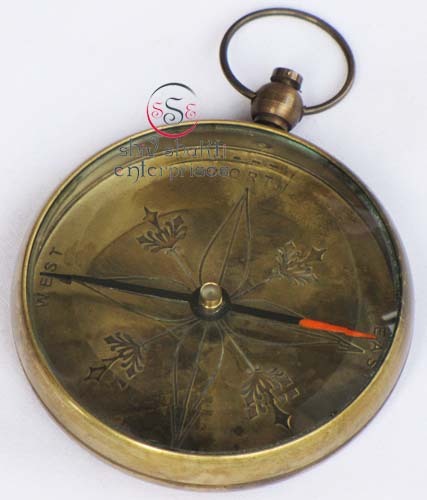 Dia:- Compass Dia:- 4.5cm. & Box Size:- 8 x 8 x 4cm﻿.